So what’s the big deal about crawling? Should you be worried if your baby decides to skip this particular milestone? As a paediatric therapist I see crawling as an essential developmental milestone, that shouldn’t be neglected. 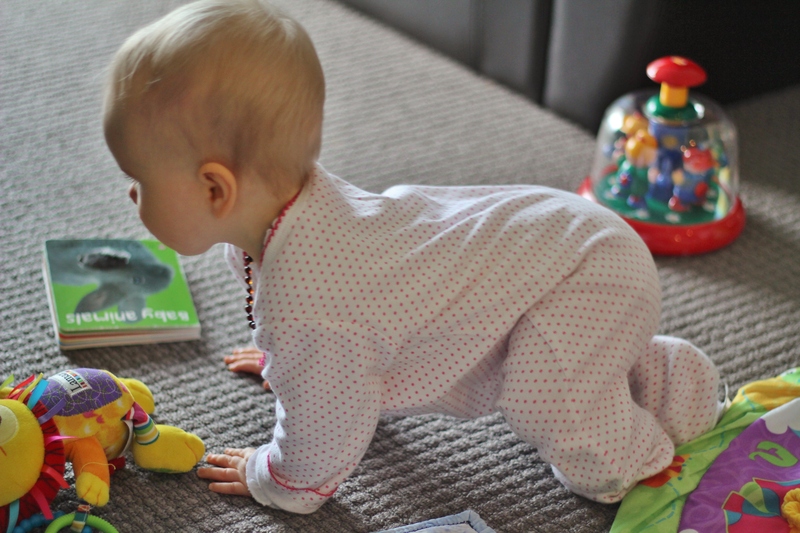 Crawling helps the two sides of your baby’s brain work together in a coordinated way. By moving the left side of their body in a different direction to the right side of their body, they are challenging the two halves of their brain to ‘talk’ to one another in order to produce a well coordinated movement pattern (i.e. : cross-patterning). The more this happens the stronger the links between the two sides of the brain will be. A well connected brain is a brain that finds learning new things much easier. Also, the weight that your baby is putting through their hands, shoulder girdles, knees and hips when crawling, helps not only develop muscle strength in the limbs, but also increases their overall awareness of what their limbs are doing (i.e. : proprioceptive awareness). A well developed sense of proprioceptive awareness and strong shoulder and pelvic girdles are essential for more complex tasks such as handwriting, doing up buttons, and kicking a ball with accuracy. Tummy time and cuddles! What could be better!? Think about how you position toys when in tummy time. Encourage crawling by placing the toy just outside the baby’s reach. Tummy Time – Think about where you put that toy. Encourage rolling BEFORE sitting. Rolling helps to develop the necessary muscle strength in your baby’s trunk needed for sitting and crawling. 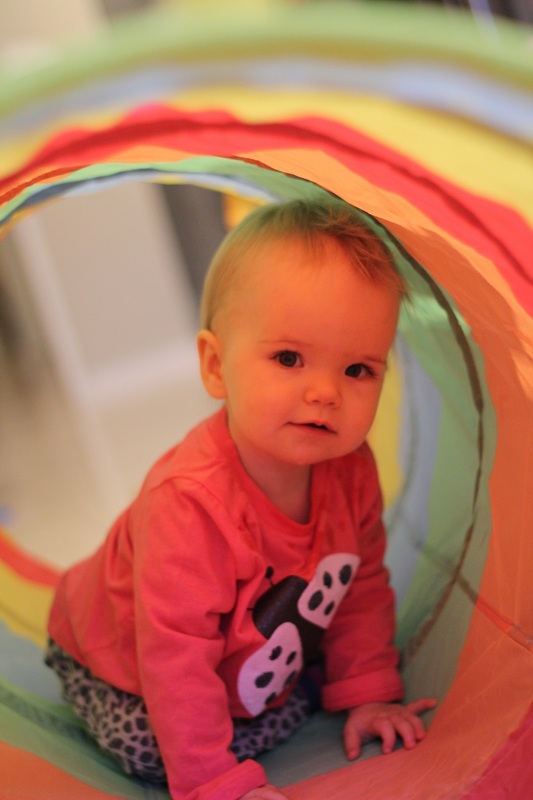 Play tunnels are another fun way to incorporate crawling and not just for babies. Big kids love them too! Who doesn’t love a play tunnel!? 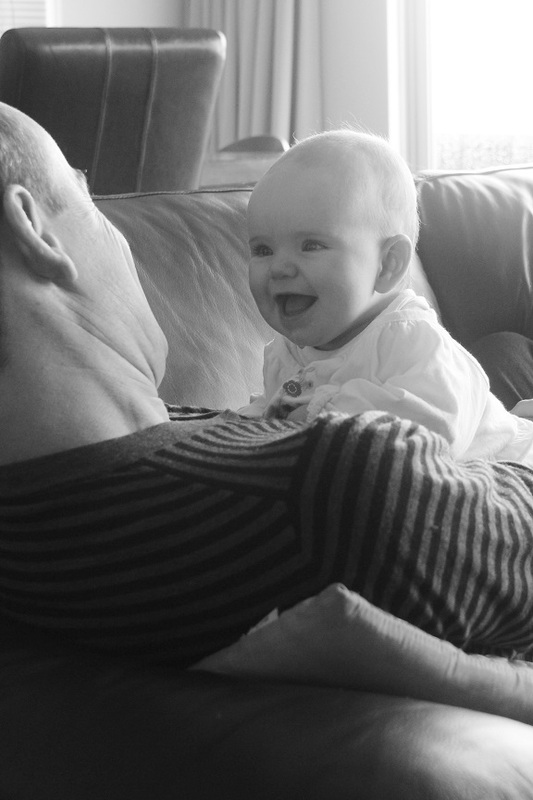 Do you have any other helpful tips or strategies to help encourage babies to crawl?